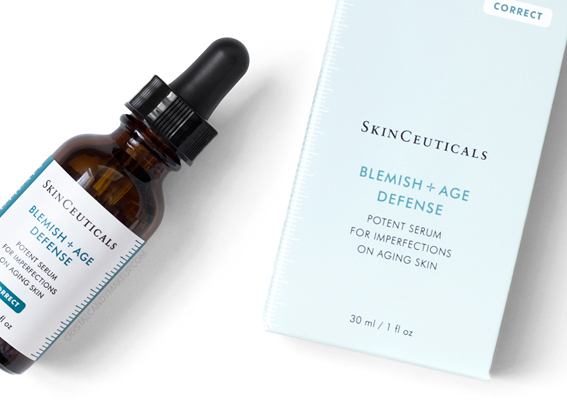 Specifically formulated to help improve the appearance of fine lines while diminishing the appearance of imperfections, SkinCeuticals' Blemish + Age Defense serum is ideal for oily, combination and acne-prone skin types. This serum is said to decongest clogged pores, reduce excess sebum production, improve overall skin's appearance, diminish visible signs of aging and fight acne. Sounds great, right? I've been testing out the Blemish + Age Defense serum for nearly 3 months now, and it's been a while since my skin looked that good! I'm 31 years old and used to have clear skin (with the occasional breakouts) but I went off the pill and it wrecked my skin. 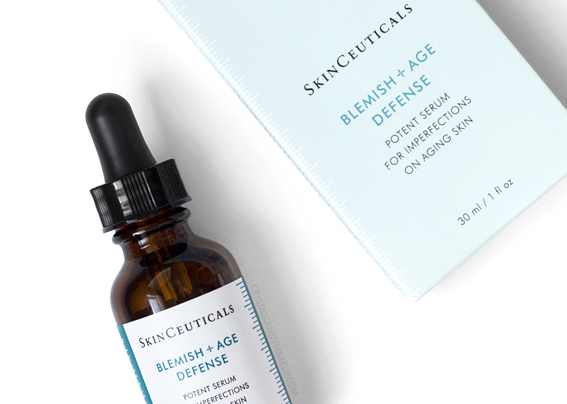 The Blemish + Age Defense serum contains a combination of LHA, Dioic Acid, Glycolic Acid, Salicylic Acid and Citric Acid. I notice a slight tingling sensation every time I use it, but it's not painful by any means. I only use it 4-5 times weekly because this stuff is very potent and it dries my skin out. I highly suggest to alternate with a moisturizer! When my skin starts feeling dry, I like to use my Biotherm Aquasource Everplump instead. But it's so worth it, just look at the before/after! By the way (and this has nothing to do with this serum) my lips look super smooth now because I've been using my Fresh Lip Serum Advanced Therapy religiously! I'm a bit disappointed that the Dioic Acid hasn't worked its magic (this ingredient is supposed to reduce sebum production) but I'm amazed at how much my skin has cleared up! 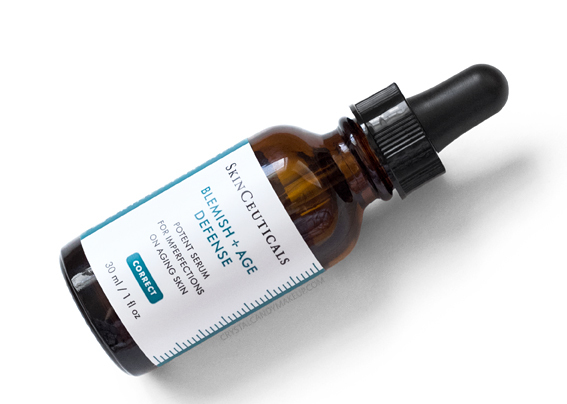 The SkinCeuticals Blemish + Age Defense Serum retails for $90 CAD for 30ml and is available at skinceuticals.com, Skin Care Rx and dermstore.com. I've never heard of this product but it sounds like something I would really like. It really helped clear up your skin! Those are pretty good results! 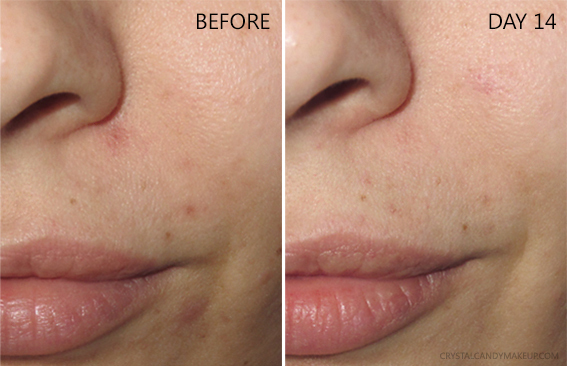 I've never heard of an anti-blemish serum before, so it's neat to know that it actually helps! My dermatologist recommended this product. It’s really good!